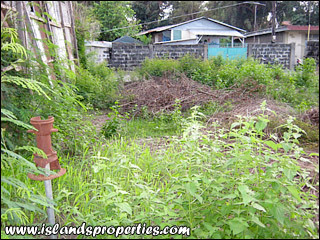 Build your Business and/or Dream House at this Vacant Lot ready for building construction. About 40 meters away from the National Highway and very near the city business center, various business can be co located here. It's walking distance to city plaza, private schools, churches, big commercial banks, gas stations, boarding houses, motorcycle stores and other big businesses and government offices. As an added security and peace of mind, property is very near to Police & Fire Station. Property is located at a peaceful and safe neighborhood. Near Banks, Schools, Churches, Hospitals, Groceries, Utility Companies, etc.